So what makes Sichuan cuisine so delicious? The answer lies with its unique use of a special spice that produces a tingly, numbing effect, combined with spiciness, creates a singular taste no other regional cuisine can match. 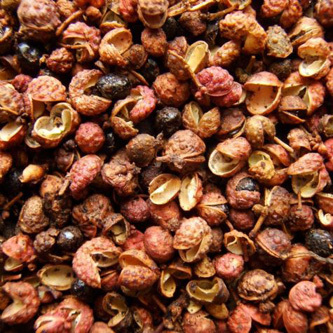 Sichuan peppercorn, also known botanically as the outer pod of the tiny fruit from a plant called Zanthoxylum, used to be banned for import by the US government as it may carry a certain bacteria that is harmful to native citrus crops. The ban has since been lifted, and I am happy to say that I just ordered a bag from an online spice shop.